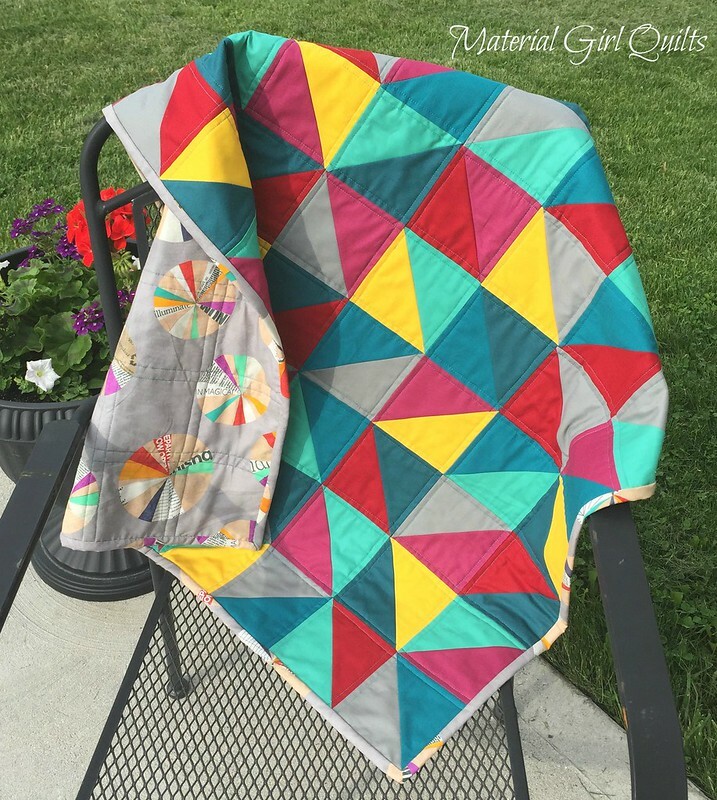 One look at this quilt and you can see how the name came about :) As I was piecing it together, I sent a text to my Mom and she said "It looks like a kaleidoscope", and I think she was right. 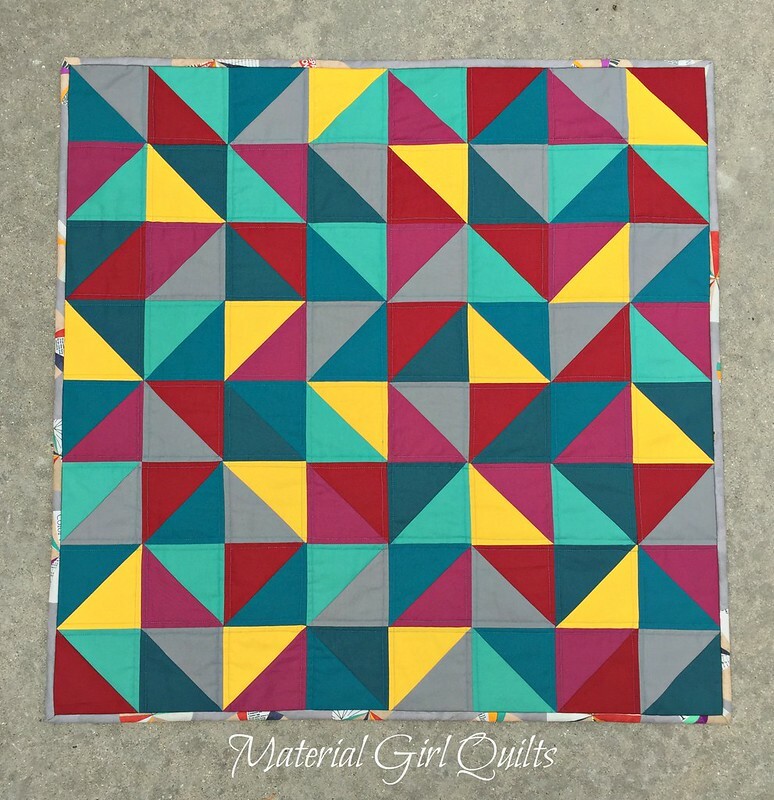 I made this quilt for my sweet friend (and fellow quilter), Lindsay, who is expecting her first child next month. Lindsay is a lover of color, so as I was browsing through my favorite local quilt shop (Crimson Tate of course! ), I pulled these shades together. The jewel tones are so rich and beautiful, but the pop of yellow might just be my favorite. It wasn't easy to truly capture the colors in photos, but I think the first one shows them best. 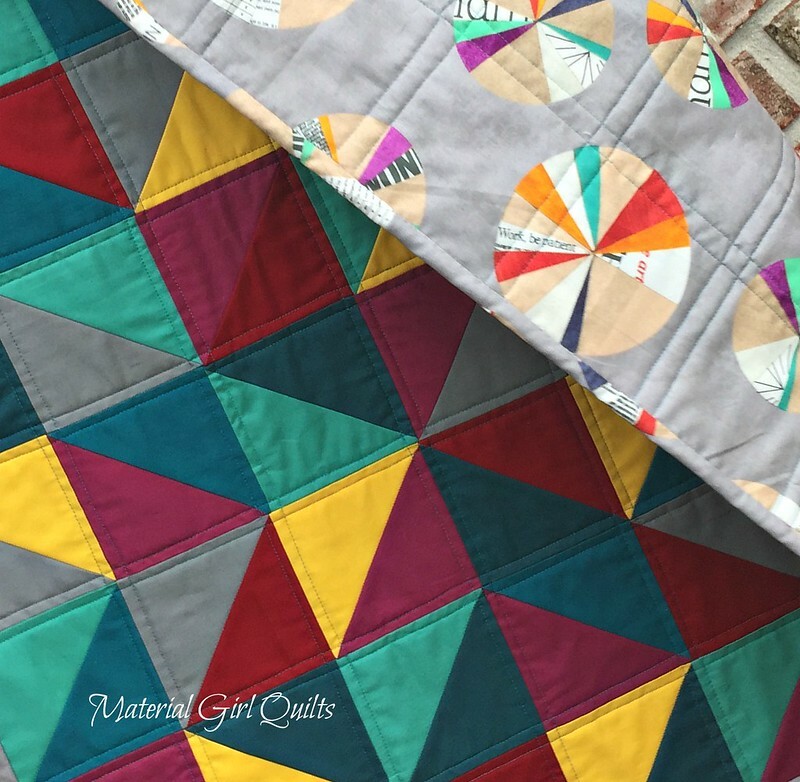 I debated quilting radiating circles from the center or straight lines every 1/2", but in the end decided to echo quilt 1/4" on either side of the block seams to leave it soft and snuggly for baby. And isn't the fabric on the back and binding a perfect compliment? 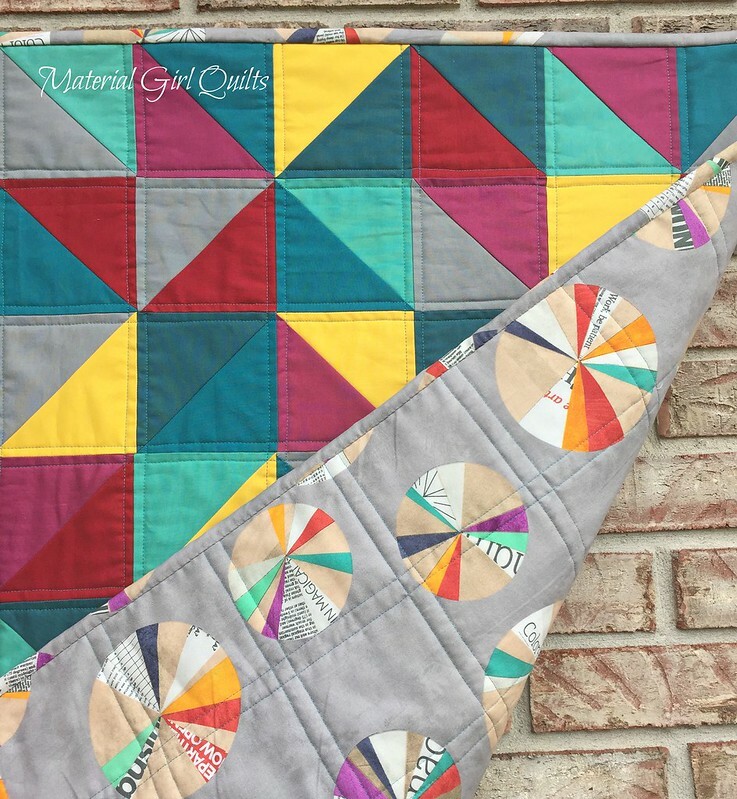 I used the color wheels from Carrie Bloomston's Paint line by Windham Fabrics. The snippets of the wheels that appear on the front of the binding give it added interest. 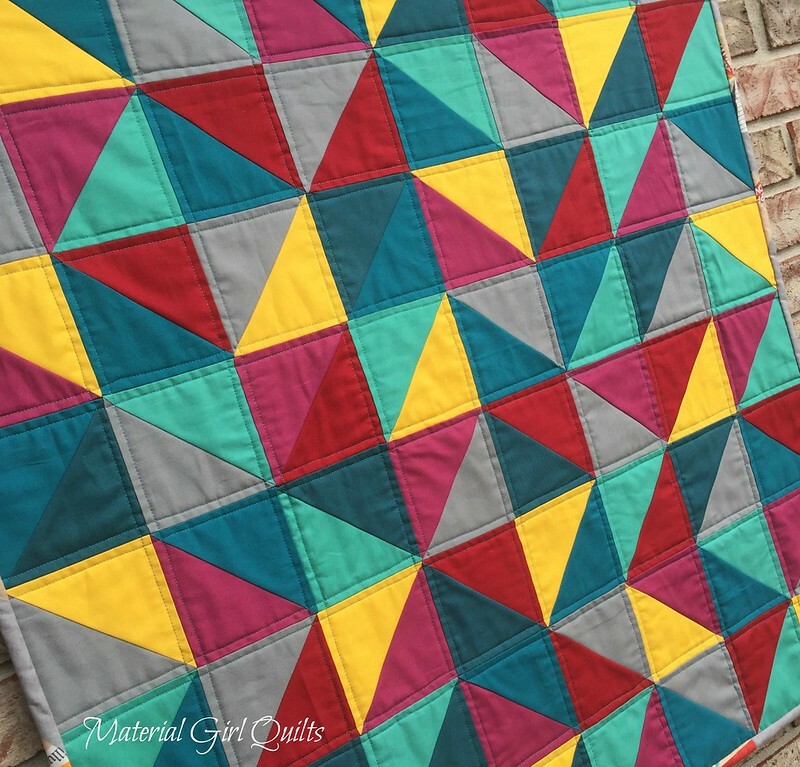 The below photo was snapped as the quilt was starting to fall off the wall, but I think it turned out pretty great anyway!